We’re back with another fun It’s the Most Wonderful Time Giveaway! This time our giveaway is for 2 (TWO!) 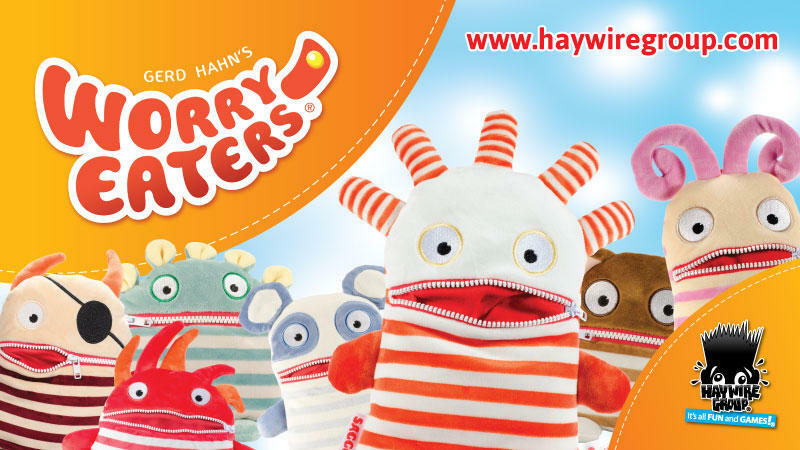 winners to receive a Worry Eaters plush toy of their choice! But it isn’t just any plush toy, and it actually means so much more than meets the eye. A few months back during the summer (ah, those warm days of summer! ), I attended Blogger Bash in New York and was immediately drawn to the table with this odd but adorable plush today. The name Worry Eaters totally grabbed my attention, and by the end of talking to the representative, I was sold! A finalist as the Top Toy of the Year for 2016 and awarded the Mom’s Choice Award plus many others, this toy is truly a creative outlet for children. Check out their parents guide for how this toy can relate to all ages! Why do I genuinely love it so much? My son had been experiencing a fear of the dark at the time, and when I brought Flamm (that’s this little guy’s name) home, my son was immediately attached to the fact that he could write his worry and place it in Flamm to “eat it up”. It may sound silly, but it wasn’t to my son. He soon asked if he could write other worries for Flamm to eat, and it really let him feel less afraid of the dark. 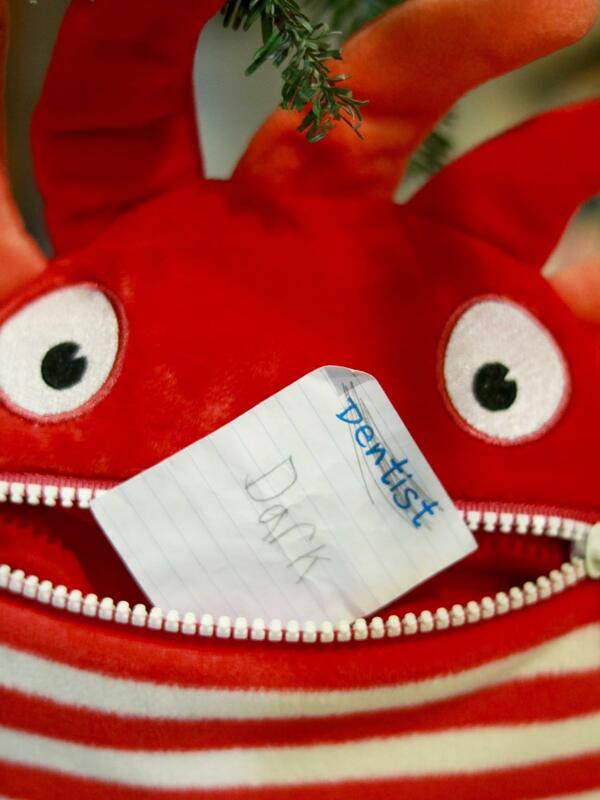 (Clearly the dentist is not a fear of his!) To me, it’s similar to writing down your worries or fears in a journal and processing through them. 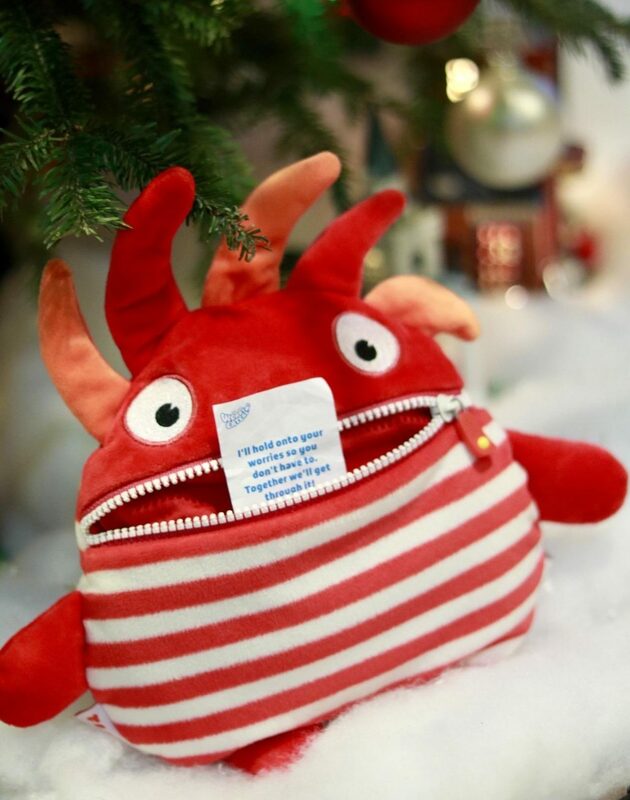 That’s why I made Worry Eaters one of my top toys for our Little Ones gift guide this year and if you hoping to get one now, check out the guide! 1) You’ll enter via the Rafflecopter image box below. Found it? Good! You’ll have to login using your email address or Facebook account. The more choices in the Rafflecopter you chose to complete, the more entries you will have towards your win! 2) This giveaway will run for 24 hours from December 20th at 9:30am and end by December 21st at 9:30pm. 3) The winners will be contacted by email within 48 hours about their win and their name will appear in the Rafflecopter below! 4) If for any reason the winners cannot be contacted or do not respond within 5 days, an alternate prize winner(s) will be chosen at random. 5) The giveaway is open to US entrants only. No purchase of any kind is necessary to enter or win. Must be 18 years or older to enter. 6) This Season’s Gold is hosting this giveaway and a representative for Worry Eaters will be delivering the prize to our winners. 6) Each prize will be mailed to winners upon receipt of delivery name and address. Thank you so much for entering! Good luck! Be sure to keep checking back for more giveaways until Christmas! Happy Holidays to you and your loved ones! I use to have a toy teddy bear I loved. I had this little duck “ducky” that i took everywhere with me!! This sounds crazy, but I had a blanket I called my “boonie.” Everyone jokes about it now, but I loved it! !